CMA is working with Martin Dealerships of Delaware to design new service facilities for their Honda, Mazda and Kia dealerships. The site, minutes down the road from Martin’s existing dealerships, will be comprised of three individual buildings, one for each manufacturer and a three story parking garage. The goal of the project is to provide new service facilities for each manufacturer while maintaining their own individual brand identity and maximizing the efficiency of the 4.2 acre site. Each building will feature spacious customer interaction and lounge areas, office space, and service stalls. The site will also include a high efficiency car wash that will service vehicles from all three facilities. Charles Matsinger Associates is proud to announce its membership in the Automobile Dealers Association of Greater Philadelphia. Joining a long list of prominent dealership and associate members, CMA is looking forward to supporting ADAGP’s mission and its many events and endeavors. 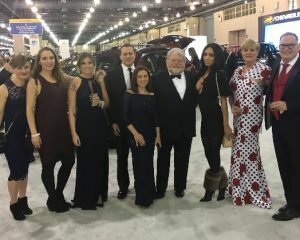 On January 27th, a group from CMA attended the 2017 Black Tie Tailgate on the eve of the Philadelphia Auto Show. This year’s beneficiary was the Division of Neurology at The Children’s Hospital of Philadelphia and raised over half a million dollars. CMA was pleased to support this worthwhile cause. 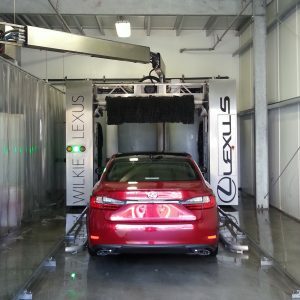 CMA worked with Wilkie Lexus to design a new state-of-the-art automobile storage and car wash facility for the Main Line dealership while simultaneously working with Lower Merion Township and local residents. Two existing commercial building sites were consolidated into one project area, which faces Lancaster Avenue and backs directly up to a residential area. 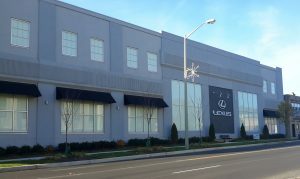 To address the significant challenge of storing hundreds of new cars in a residential area, the team at Wilkie Lexus turned to Charles Matsinger Associates. 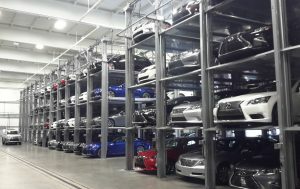 Owners Dan Polett and Scott Lustgarten worked together with CMA to meet the needs of the dealership with the design of a 20,000 square foot storage facility. The exterior of the building was designed to blend with the Lancaster Avenue streetscape, including traditional storefront elements, retail windows with awnings and second floor office or apartment style windows. Over 300 vehicles are stored using 67 lifts designed for the specific vehicle type and size. A state-of-the-art car wash in the building allows for preparation of vehicles being delivered to the dealership.